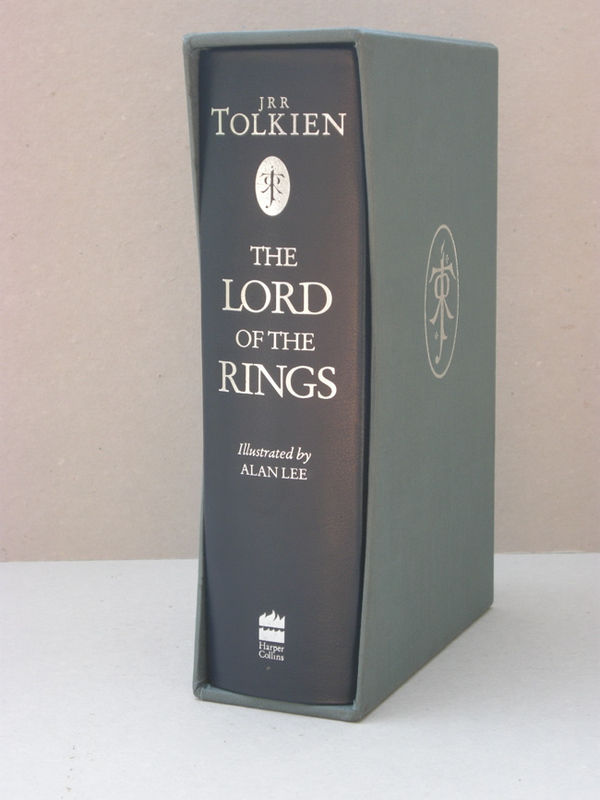 Number 109 of a Limited Edition of only 250, specially bound and slipcased one volume edition of the Lord of the Rings published to celebrate the centenary of J.R.R. Tolkien's birth on January 3, 1892. 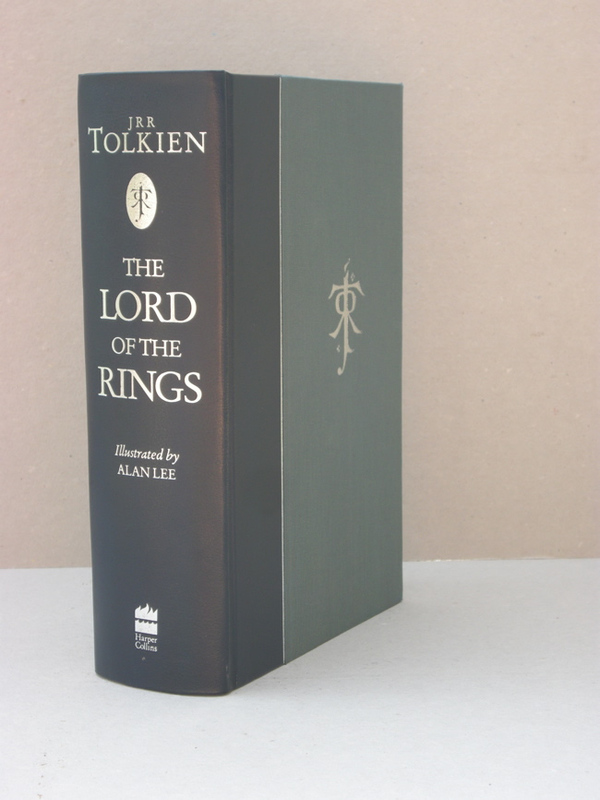 This specially bound and slipcased edition of the Lord of the Rings has been published to celebrate the centenary of J.R.R. Tolkien's birth on January 3, 1892. This edition has been limited to 250 copies for Harper Collins Publishers, each one numbered and signed by the artist. 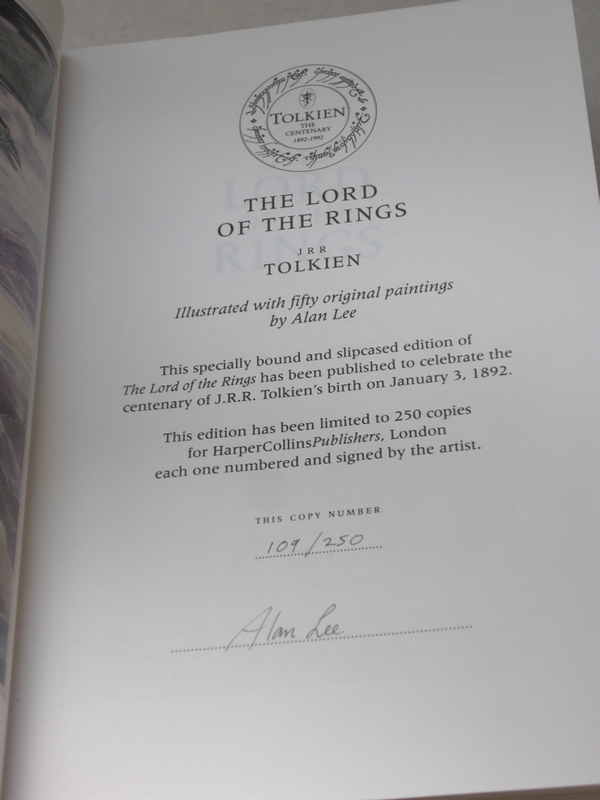 This copy number 109/250, Alan Lee. 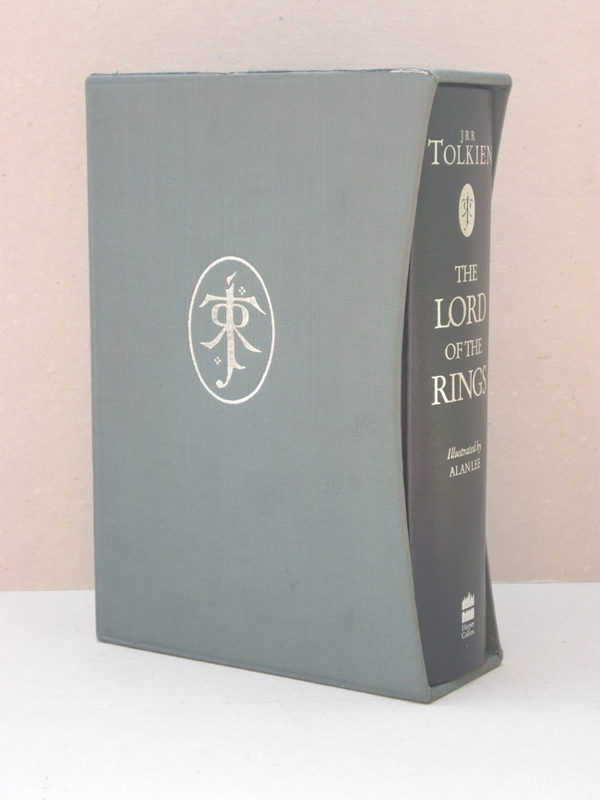 A beautiful book, quarter bound in blue leather and cloth with the JRRT monogram on the front boards of the book and the original publishers slipcase, still enclosed in the original plastic wrap, just cut out to remove the book. 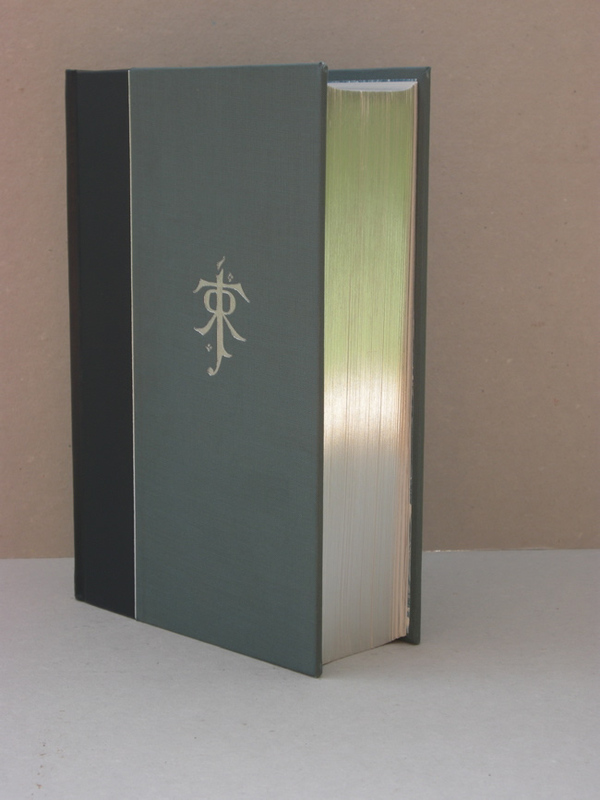 This single volume edition has silver gilded edges, a ribbon marker bound in, and signed limitation page. 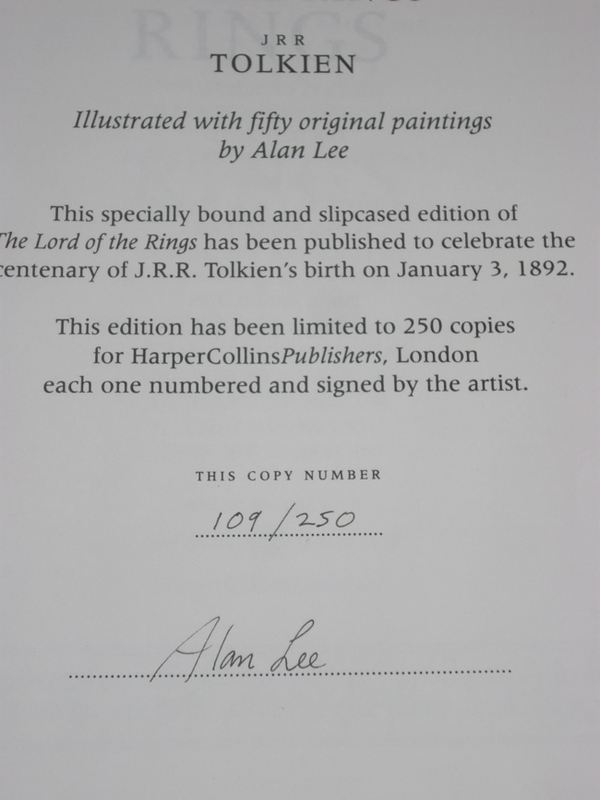 Fifty original illustrations by Alan Lee through the book. You can follow how Alan Lee first visualized the movies, and carried through by Peter Jackson, with Lee's assistance throughout the movie's production. A scarce book, again one of only 250 produced.